Marianne Banks felt like the only one of her kind in the small western Massachusetts town where she grew up. A sense of humor and eternal hope have persisted through the years. 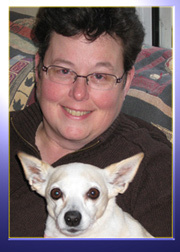 Her previously published work includes essays in Eating Our Hearts Out and The Women's Times. She lives in Northampton, Massachusetts, with her spouse and animals. Growing Up Delicious, Finalist in Dramatic/General Fiction.